Seth Curry scores 20 as the Portland Trail Blazers blow out the Chicago Bulls, 118-98. Grabbed all of his nine rebounds in the second quarter 4/6 at POR. Attempted a season high 10 free throws 4/2 at DEN. Grabbed 10 boards for the 10th times this season 3/29 at SAS. Tied a career high with six assists in a victory 3/26 vs. LAC. Scored 12 points in a season high 45 minutes 3/22 vs. MIA. Recorded his fifth double-double of the season with a team leading 19 points (season high) and 10 rebounds 3/19 vs. TOR. Totaled nine points and eight boards 3/9 vs. DEN. Scored in double-figures for the 15th time this season with 10 points 2/12 at MIL. Dropped a season-high 18 points to lead the Pelicans in scoring 1/29 at MIN. Scored 10 points 1/24 at DET. Shot three of five from the field and totaled nine points 1/21 vs. SAC. Scored 12 points and grabbed nine boards 1/18 vs. GSW. Led the team with eight rebounds 1/15 vs. HOU. Led the team in rebounding with 13 1/13 vs. SAS. Notched third double-double of season with 15 pts, 11 rebs at DAL on 1/11. Grabbed 15 rebounds 12/30 vs. POR while also chipping in nine points. Racked up 11 points and eight rebounds 12/27 vs. DEN. Scored 10 points 12/13 vs. MEM. Recorded a double-double 12/11 vs. DET with 11 points and 14 rebounds. Gathered 10 rebounds 12/6 vs. OKC. Exploded for a season high 16 points and 20 boards, setting or tying a career high in FGA (17), FGM (8), DREB (16), and TREB (20), 12/4 vs. DAL. Scored a season high 14 points while tying a season high in rebounds (nine) 12/2 at CHI. Grabbed a season high nine rebounds 11/26 vs. GSW. Tied a career best with four steals 11/25 at SAS. Tallied six rebounds 11/22 vs. CLE. Registered a season high in assists with four 11/20 vs. UTA. Recorded a season high 10 points to go along with six rebounds 11/17 vs. PHI. Notched a quality 8 point, 8 rebound performance at PHX on 11/10. Recorded season-high nine points and seven rebounds in a winning effort 11/6 at MEM. Scored eight points on 4-6 shooting 11/5 vs. PHX. Scored seven points and grabbed seven boards 11/2 vs. CHA. Registered 4 points and three rebounds 11/1 at ORL. In season debut vs. IND on 10/30, collected four rebounds, two assists and two steals. DNP – CD – 2 times. 2012-13 (Hornets): Appeared in 76 games (71 starts) and averaged 7.3 points, 7.7 rebounds, 1.4 assists, and 1.2 steals in 27.2 minutes… led the team in scoring three times and in rebounding 26 times…exploded for 16 points and a career-high 20 rebounds 4/17 at DAL…matched career-high in rebounds with 16 and poured in ninth double-double of the season with 12 point, 16 block, two steal and three block performance vs. LAL on 3/6…recorded a career-high six assists to go with 10 rebounds, seven points, three steals and two blocks 2/22 vs. DAL…tallied season-high 18 points to go with nine boards and two steals in road W at BOS on 1/16…recorded his fifth straight 10+ rebound game on 1/13 at NYK…scored 10 points with eight assists and tied a career-high with four steals in the 11/26 win at LAC…recorded his seventh double-figure scoring game of the season (16 points), going 6-7 from the floor…opened the season with 17 points, seven rebounds, three assists, three blocks and two steals vs. SAS 10/31. 2011-12 (Hornets): Averaged 6.0 points, 4.7 rebounds, 1.0 assists, and 0.9 steals in 22.2 minutes in 66 games…Led the team in scoring twice, and in rebounds 10 times this season…Was one of only three players to play every game for the Hornets this season…In the last 10 games of the season, averaged 9.8 points, 7.2 rebounds, 1.7 assists and 1.7 steals in 34 minutes, surpassing 10-plus points five times and 10-plus rebounds twice…Led the team with 95 offensive rebounds on the seaon…Recorded two double-doubles on the season, and scored 10-plus points 14 times while pulling down 10-plus rebounds three times…Recorded second double-double with 11 points and 10 rebounds, and also dishing out three assists in season finale 4/26 at HOU…Scored season-high 17 points and grabbed eight rebounds, while adding two assists and two steals in home finale 4/19 vs. HOU…Had 15 points on 7-8 shooting 3/26 at LAC…Recorded a career-high four blocked shots, while adding three points, five rebounds and one assist 3/21 vs. GSW…Scored 14 points and pulled down six boards 2/20 at OKC…Had 12 points and five rebounds in 25 minutes of action 2/10 vs POR…Scored 14 points to go along with four rebounds 2/4 at DET…At DEN 1/9, tied a career-high with five assists, as well as totaling eight rebounds, four points, one steal and one blocked shot…At DAL 1/7, recorded 15 points and career highs with 12 rebounds and four steals for first double-double of the season…Recorded his first start as a Hornet 1/4 against the 76ers and pulled down four rebounds in 19 minutes…Scored 11 points with one steal and one blocked shot 1/2 at UTAH. 2010-11 (Clippers): Averaged 5.6 points, 3.3 rebounds, 0.7 assists in 17.9 minutes in 81 games (14 starts)…45 3FG made was the fifth-most on the team…led team in steals 17 times, scoring one time and rebounds twice…reached double-figures in scoring 14 times…amongst NBA rookies, finished 18th in scoring, 15th in rebounds, 4th in 3-point field goal percentage (.315) and 4th in free throw percentage (92-119 FT, .773)…11/9/10 at New Orleans, scored career-high 20 points off bench (7-10 FG, 2-3 3PT, 4-5 FT) and had a team-high 8 rebounds, 2 assists, 2 steals in 29:46…11/12/10 vs. Detroit, made 1st start of NBA career, had 6 points (2-5 FG, 1-1 3PT, 1-2 FT), 5 rebounds, 1 assist in 19:26…11/17/10 at Minnesota, had 17 points (7-11 FG, 3-5 3PT), 4 rebounds, 3 assists in 28:05…11/28/10 vs. Utah, scored 12 points (4-4 3FG) in 26 minutes played. Originally selected by the Los Angeles Clippers with the 8th overall pick in the 2010 NBA Draft…acquired December 14th, 2011 from the Los Angeles Clippers along with Eric Gordon, Chris Kaman and a 2012 first round draft pick (whichever is more favorable between the Clippers and the Minnesota Timberwolves) in exchange for Chris Paul and two 2015 2nd round draft picks...Signed as a free agent with the Dallas Mavericks on July 29, 2014. Averaged 14.4 points and 9.4 rebounds in 62 games played over his two-year collegiate career…averaged 15.8 points, 10.7 rebounds and accumulated 44 blocks in 31 games while shooting 44.7 percent from the field during his sophomore season…named an honorable mention AP All-American and Second Team All-ACC…one of five players in major conference college basketball to average a double-double…led Demon Deacons in scoring, rebounding and blocks…became first Demon Deacon to lead ACC in rebounding since Tim Duncan did it in 1997…one of three players to rank in top 10 in ACC in seven statistical categories…led ACC with 19 double- doubles…recorded team-high 46 dunks…averaged 12.9 points and 8.2 rebounds in 31 games while shooting 51.6 percent from the field as a freshman…named a Freshman All-American by the Sporting News…selected to ACC All-Freshman Team…finished as runner-up in voting for ACC Rookie of the Year…named ACC Rookie of the Week five times (Dec. 1, Jan. 5, Jan. 19, Feb. 2, Mar. 9), tying the school record previously set by former Clipper Rodney Rogers and Chris Paul…named the ACC Freshman of the Year by CBSSports.com…ranked second on the team in blocks (38), third in steals (30) and fourth in assists (46)…led all ACC freshmen in rebounding and was second among rookies in scoring…ranked fifth in the ACC in rebounding and fourth in defensive rebounds (5.9 drpg)…posted 10 double-doubles on the season, more than doubling the combined total of all other ACC freshmen…finished with the third-highest rebounding total (253) and third-best rebounding average (8.2) for a freshman in program history…had the fifth-most blocked shots (38) ever by a Deacon freshman…combined with James Johnson to become the fourth-best rebounding duo in program history, averaging a combined 16.7 rebounds per game…scored in double figures 22 times. 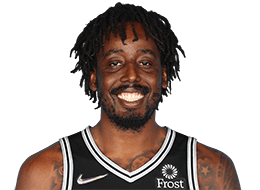 Descends from a line of Nigerian kings…name Al-Farouq means “the chief has arrived”…son of Aboubakar Aminu and Anjirlic Aminu…averaged a team-high 14.8 points to go with 5.4 rebounds for the Clippers’ entry in the 2010 NBA Summer League…older brother Alade was a 2010 D-League All-Star with Erie and Bakersfield and was signed to a 10-day contract by the Miami Heat on March 28, 2010...also has a younger brother…played in the NIKE Hoop Summit as a member of the USA Jr. National Select Team as senior in high school…led Norcross High School to back-to-back Georgia 5A state titles in 2007-08…member of the 2008 McDonald’s All-American Team and played in the Jordan Brand Classic…handed out presents and signed autographs to students who had perfect attendance in school at the 2011 EMERGE Christmas Party…took photos, signed autographs and played basketball with Hornets fans at Hornets Day at the Zoo…spoke to McDonald’s All-American nominees from the state of Louisiana prior to a Hornets home game about the importance of hard work…visited Ochsner Medical Center in April of 2012 to speak with patients and employees…member of the 2012 Nigerian national team participating in the 2012 Summer Olympics in London. Participant in the 2012 Sprite Slam NBA Development Camp in Zambia (Africa) for the NBA Basketball Without Borders program.